Bhagyashree is in her first year of college and she’s boldly going where no Ashraya kid has been before….into fashion designing! In a society with a preference for doctors and engineers, Bhagyashree’s unique career choice and her internship with Ashraya makes her our feature for this issue. 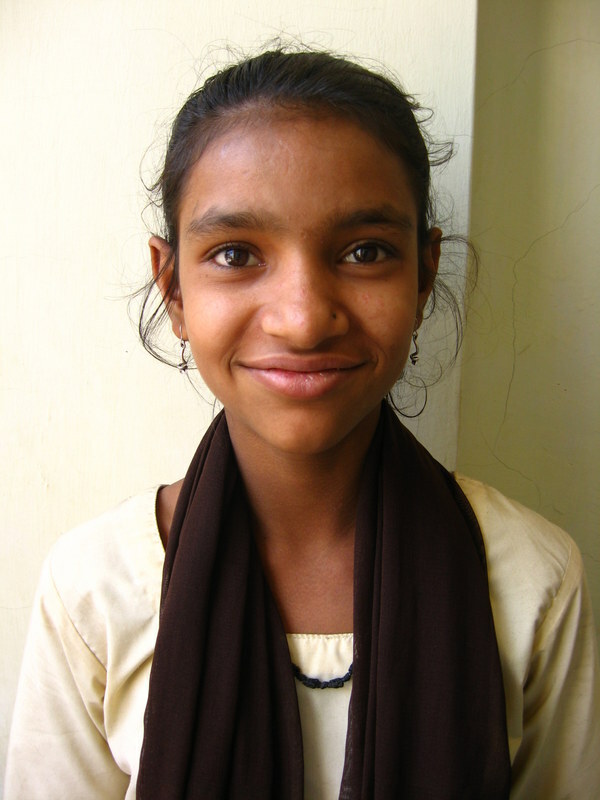 She has been attending Ashraya classes nearly every day since she was in the 4th standard. 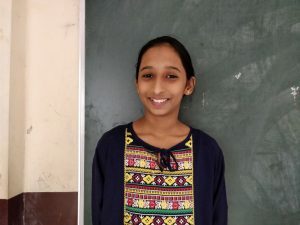 After 10th, she was given the opportunity of interning with Ashraya for two months, in which she learned how to use the computer, developed her English skills, and taught a few pre-primary classes. Bhagyashree was happily surrounded by clothes as a child and her sister was a tailor, so she learned how to sew and decided to pursue fashion designing in college. She is great with the sewing machine; she put together an entire salwaar kameez dress in a day for a younger student for the Annual Day. 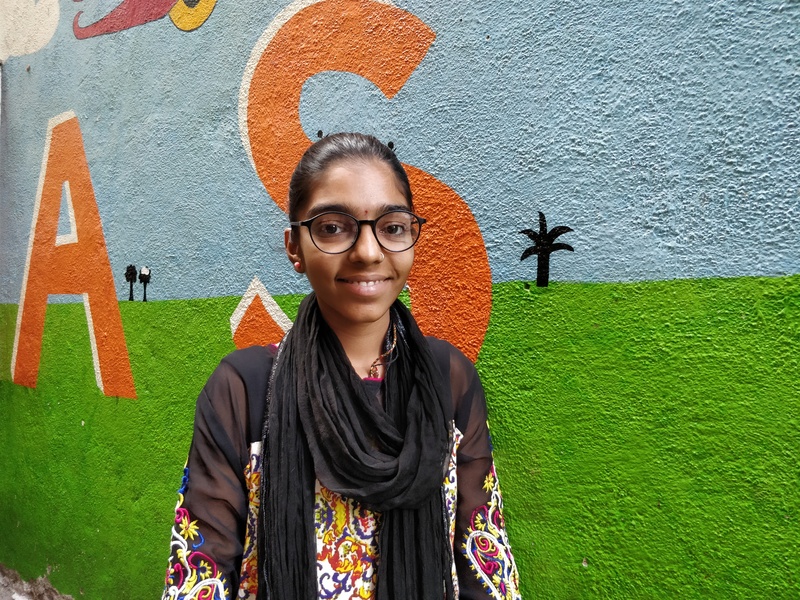 Now that she is studying fashion design, her favorite part of the process is sketching and imagining ensembles, especially the long, embellished skirts worn as traditional wear in India, called gaghras. She hopes to open a boutique one day and we wish her the best! Aditi Burutkar’s ambition is extraordinary. She has taken advantage of every single opportunity that has come her way. 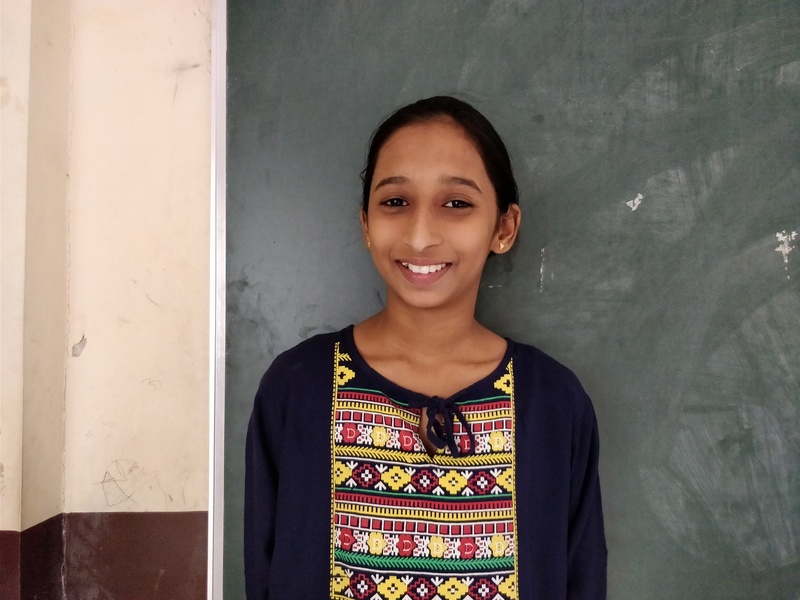 A school “topper” and a recipient of quite a few school awards, Aditi is all about achieving success in the fields that she excels in and is passionate about. 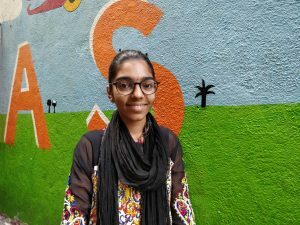 Ashraya selected two students to attend a leadership camp in Dehradun, Uttarakhand at the end of May. Aditi was one and Saniya Dalal the other (we’ve written a Facebook post about their selection). 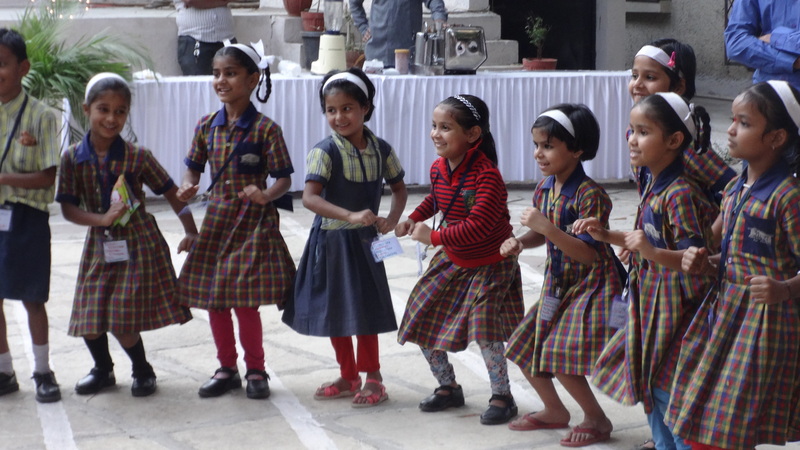 This ten day camp included adventure activities, critical thinking exercises, theater, and space to debate about big social issues facing India. 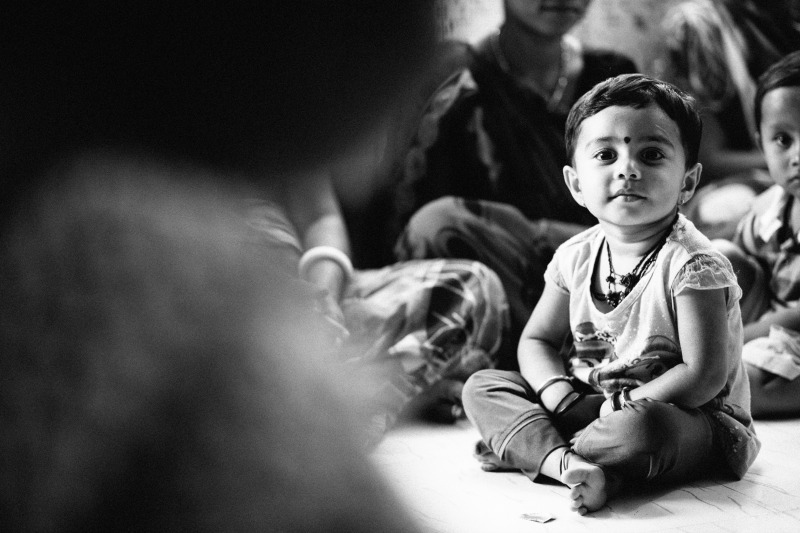 When we say that our models for adolescent development and education are holistic, we literally mean that we start from the womb and end when the child is placed in a job. A child cannot grow up well if her/his mother is not well fed and cared for. We see to the mother’s health when she is pregnant by providing supplements. When the child is born, the mother brings her baby to our health center’s mother-baby classes and we focus on their nutrition and hygiene. 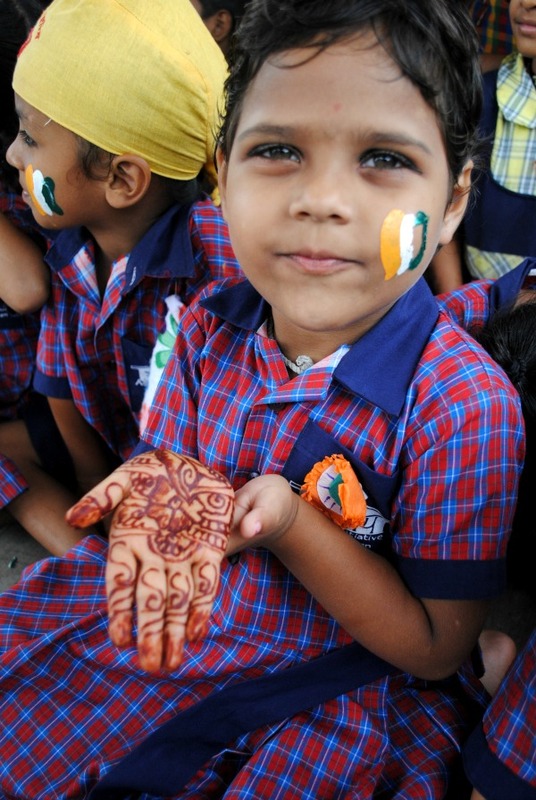 Then, the child attends extra classes, beginning from nursery, all the way to 10th standard. And we don’t stop there; we want to see our students studying in colleges around the city (and around the world) and then land a job. Ultimately, we want them to take the leadership in transforming their communities, where once, going to school wasn’t an option. But we don’t live in such times anymore. Quality education is a right for every child and we want them to become change makers in their own communities. by teaching the importance of education to future generations. 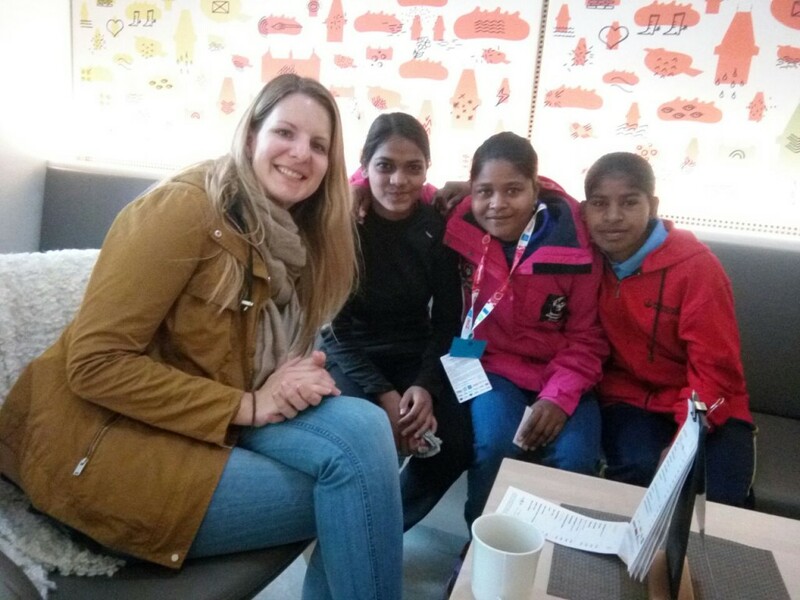 AIC rockstar student Ranjana is in Austria right now competing as a part of India’s national floor hockey team in the Special Olympics World Winter Games!! Talk about an INCREDIBLE (and so, so deserved!) opportunity for this hard-working girl, who climbed her way to the top through district, state, and national-level selections for the team. 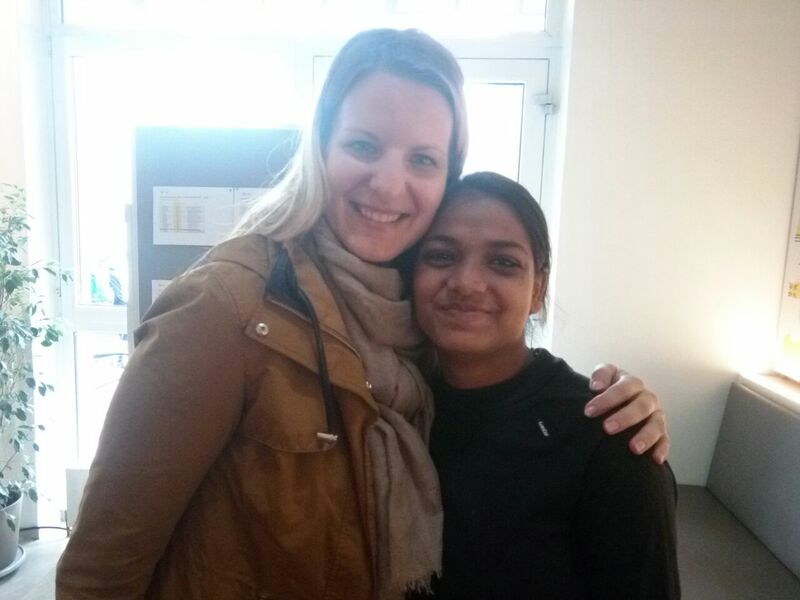 Last week, she was even able to meet up with AIC board member, Judith, who is based in Austria and has known Ranjana for years. Please join us in congratulating Ranjana on the team’s bronze medal in the floor hockey events! Little Priya, affectionately known as Piyu, is 3 years old and just completed the year-long playgroup program in April. She will now be starting nursery school in June. Recently, we sat down with her mother to discuss her feelings about AIC, the playgroup program, and the Waghri community with which AIC works. AIC team members had no idea that Thursday, February 18th, would be a particularly eventful day when they prepared to head into work that morning. 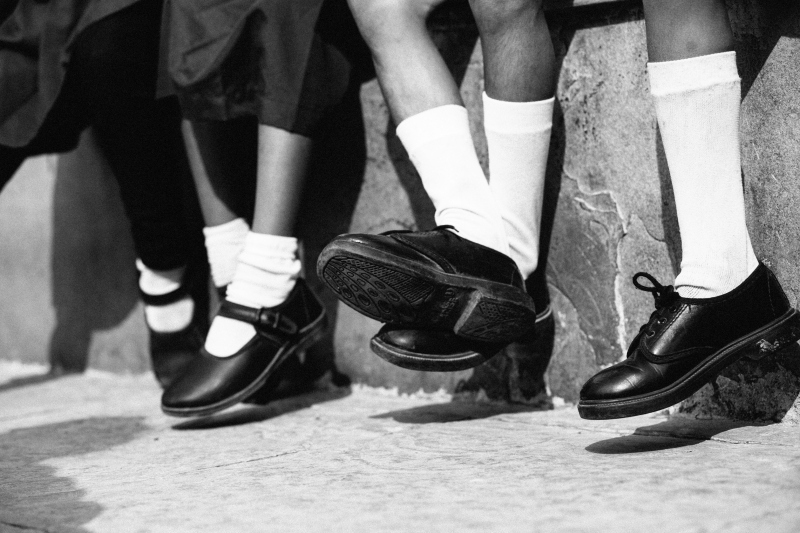 However, around 8:45, Education Program Director, Bunty received a call from teachers at Krantiveer Lahuji Vastad Salve E-Learning School (a nearby government school where 34 AIC students are enrolled) informing her that several AIC students were believed to have been involved in a theft earlier in the week. Happy International Day of the Girl Child! As everyone who is familiar with AIC undoubtedly knows, the rights and education of girls are central to the work that we do. Although change is happening slowly within the Waghri and Sikligar communities, women and girls still bear the brunt of inequality, violence, illiteracy, malnutrition, child marriage, and early parenthood. 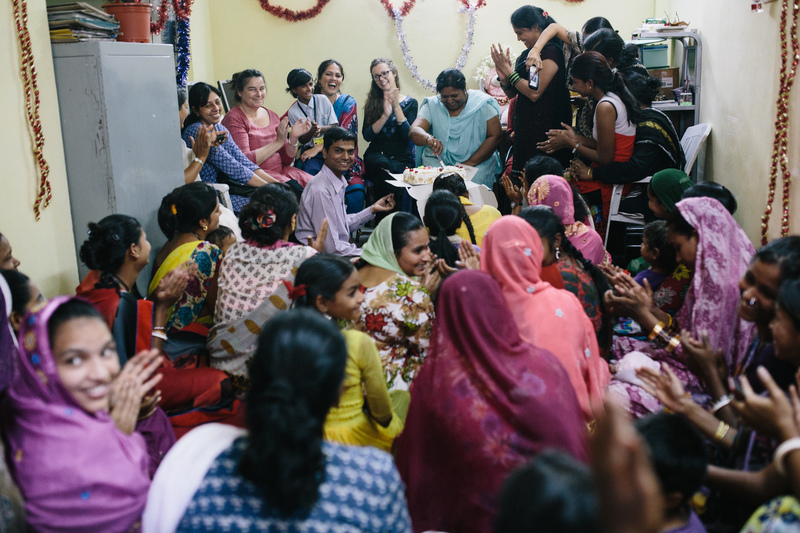 One such girl is Archana, a student in AIC’s Education Program, who has decided to speak publicly about her experiences fleeing her husband earlier this year. In May, AIC welcomed a new leader to the team, Bharati Kewalramani. 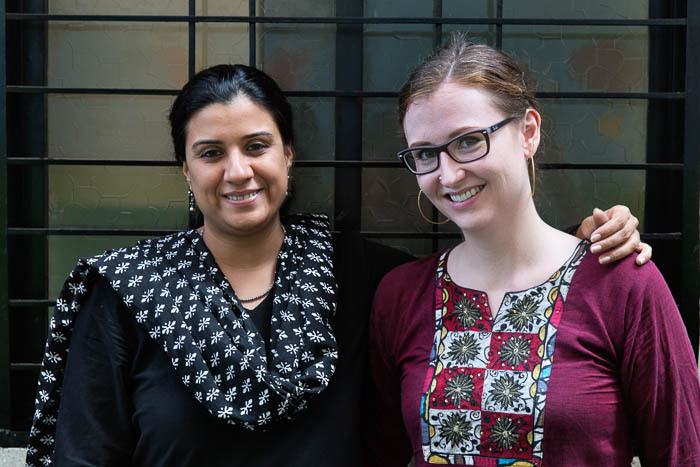 Bharati will be taking over as AIC’s new Executive Director, as Mary Kay Hazel (affectionately known as “MK Didi”) heads off to new adventures back in the US. 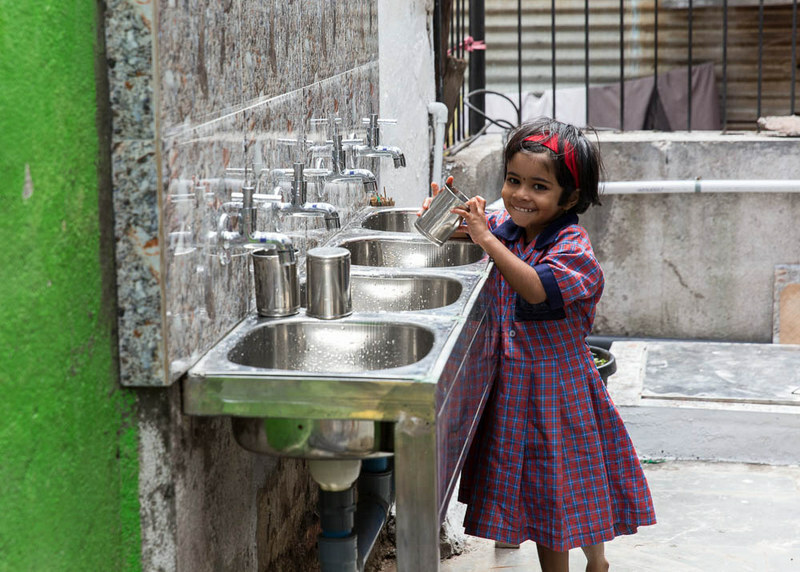 This spring, our Education Centre received a tremendous gift: clean, pure drinking water. The preciousness of this gift cannot be understated. Reliable water connections are hard to come by in the slum area that is home to our Education Centre, and the water that flows through the government water pipes is of dubious quality and cleanliness. Happy International Day of the Girl Child! Geeta, Poonam and Kajal, looking so…OLD! Everyone has been enjoying some much-needed time at the Residential house this week! And of course, Diwali vacation wouldn’t be complete without the activities that have become annual traditions for the AIC family – firecrackers, lights, diya painting, rangoli, getting to pick out a new Diwali outfit (seriously, the children start planning their Diwali outfits six months in advance! ), not to mention lots of cleaning, organizing, and some good old fashioned time together as a family. More soon from our other programs!